The headline is actually an old slogan which means “fondue creates a good mood.” It sounded very promising so when we visited Geneva a couple of weeks ago we were of course curious to try this traditional Swiss dish. 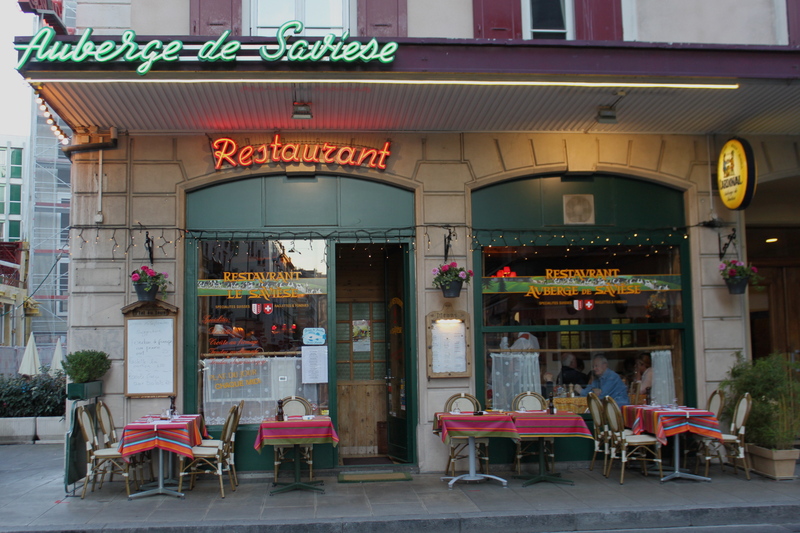 A restaurant called Auberge de Savièse was highly recommended by the concierge at our hotel. It is located on 20 rue des Pâquis, and has a robust and friendly atmosphere with small tables, wooden paneling and (of course) a cuckoo clock on the wall. 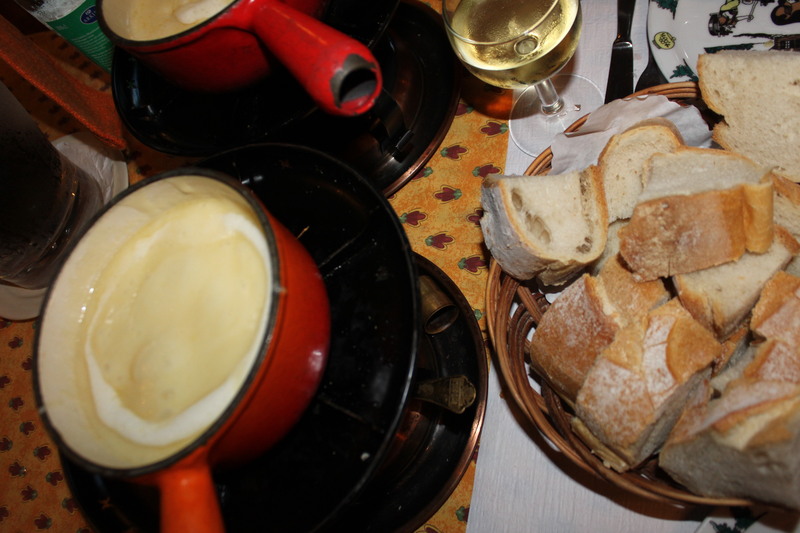 The cheese fondue originates from the Swiss Alps and is a blend of hard and semi-hard cheeses (for example Emmenthaler and Gruyère), dry wine (we also tried one with Champagne which was excellent) and Kirsch. You get white bread, potatoes and pickled onions to dip into the pot of melted cheese.